Just about everyone suffers from bad breath every now and then. It comes in many forms, from the very common early morning bad breath up to persistent bad breath (halitosis), which, according to the NHS, is thought to affect up to one in four people on a regular basis. 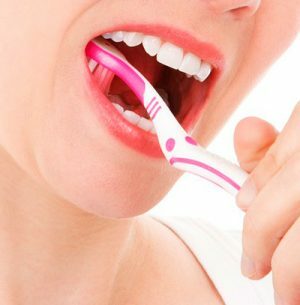 El cepillado de los dientes y encías con regularidad, y de una forma correcta es importante ya que porque las bacterias pueden vivir en la superficie de la lengua y causar mal aliento. The main culprit behind bad breath is bacteria, of which there are thought to be about 500 different types in the mouth alone. These bacteria thrive in the mouth’s natural environment, with its warm temperature and high humidity. And most of these bacteria produce the chemicals that cause bad breath, such as hydrogen sulfide. For instance, in the case of early morning bad breath, bacteria in the mouth start to digest food particles that aren’t removed by saliva during the night, (these food particles can be left behind because you tend to produce much lower levels of saliva when you’re asleep). And as these food particles are digested, it creates the familiar smell of bad breath.Poor oral hygiene is another major cause of bad breath, as not brushing and flossing your teeth regularly can leave food particles trapped between your teeth, which again is broken down by bacteria. Other common causes include smoking, drinking alcohol or coffee, and eating strongly flavoured foods such as spices, garlic and onions. Following a high-protein diet or very low calorie diet can also make your breath smell, as your body breaks down fat and releases substances called ketones. The problem with bad breath is that it can be difficult to detect yourself, and while others may notice it they may not want to offend you by telling you. Some people also believe they have bad breath when they don’t – a condition called halitophobia. According to the NHS, there’s a simple way to find out if your breath smells. Just lick the inside of your wrist and wait until the saliva dries. Then smell your wrist – if it doesn’t smell very nice, chances are you have bad breath. As bad breath is commonly caused by poor oral hygiene, it can also be a sign that you have gum disease. If your gums are inflamed, sore or infected, and you find you spit out blood after brushing your teeth, the stage of gum disease affecting you is called gingivitis. This is a common condition that’s thought to affect more than half of all adults in the UK to some extent, If, however, you don’t take steps to treat gingivitis, it can develop into the next stage of gum disease, called periodontitis. This can cause more serious problems, including tooth loss or loose teeth, receding gums and decay in your jaw bone (according to the NHS, an estimated 15 per cent or so of adults have severe periodontitis). If you have a persistent problem with bad breath and suspect you may have a gum problem, try to see your dentist and dental hygienist on a regular basis. They can tell you how to improve your oral hygiene as well as clean your teeth thoroughly to remove any hardened plaque – the bacteria-containing substance that builds up on your teeth whenever you eat and drink. For instance, your dentist or dental hygienist will recommend that you brush your teeth and gums regularly, and show you the best techniques. They will also encourage you to floss between your teeth every day and show you how to keep your tongue clean (usually by brushing or scraping the top of it). This matters because bacteria can live on the surface of your tongue and cause bad breath. In the past, it was usually recommended that you see your dentist every six months. These days, it depends on the state of your oral health: if you have problems with your teeth or gums, you may need to see your dentist more regularly, but if you have a good level of oral health you may only need an appointment once a year or even once every two years. If you’re not sure how often you should go for a dental check-up, your dentist can advise you. As well as the usual culprits, there are also some medical conditions that can occasionally cause bad breath. Sinusitis:A common condition, sinusitis is inflammation of the lining of the sinuses that’s caused by a viral or bacterial infection. Most commonly, it’s caused by the common cold or flu when the virus spreads to the sinuses from the upper airways. Besides bad breath, the symptoms of sinusitis include a blocked or runny nose, pain and tenderness in the face, a high temperature, loss of taste and smell and a general unwell feeling. Bronchiectasis:This long-term condition causes a build-up of mucous that leaves the lungs more susceptible to infection, with other symptoms including a chronic mucous cough and shortness of breath. Bad breath can also be caused by other infections that affect the lung, throat or nose. Bronchitis:An infection of the bronchi – the main airways in the lungs – bronchitis often develops after a cold, sore throat or flu. The main symptom is a persistent cough, though you may also have a sore throat, headache, nasal congestion and aches and pains. Diabetes:Unmanaged diabetes where your blood glucose levels are consistently high can cause diabetic ketoacidosis. This happens because your body doesn’t have enough insulin to convert glucose into energy, so it starts to break down body tissue instead. A by-product of this process is the production of chemicals called ketones, which are thought to be responsible for bad breath. Helicobacter pylori:H. pylori is a bacterium that lives inside your body, usually in the stomach. It’s commonly associated with a stomach ulcer or other gastric problems such as indigestion, though most people with H. pylori don’t have any symptoms. It’s very common – around 50 per cent of the world’s population is infected with H. pylori, though in the UK levels are thought to be around 15 per cent or lower. Gastro-oesophageal reflux disease:Also known as GORD, this gastric condition – where acid from the stomach leaks up into the oesophagus (the tube of muscle that connects your mouth with your stomach, also known as the gullet) – has also been linked with bad breath. More common symptoms include heartburn, acid reflux and swallowing difficulties. Constipation: According to the Bladder and Bowel Foundation, the symptoms of constipation may include a bad taste in the mouth as well as bad breath. Xerostomia:This is the medical term for dry mouth. Other rare conditions that are thought to cause bad breath include hypermethioninaemia and trimethylaminuria, both of which are metabolic disorders. Drink plenty of fluids, preferably water, to stop your mouth getting too dry. Try not to drink too much tea and coffee, as they can dehydrate your mouth and make your breath smell bitter (coffee also contains acids that can encourage the growth of bacteria). Alcohol can make your mouth dry too. Also try chewing sugar-free gum to stimulate the production of saliva if you tend to have a dry mouth. Cut down on foods that may make your breath smell, such as garlic, onions and strong-tasting spices. Sugary foods may also be causing a problem, as bacteria thrive on sugar. If you like strong-tasting food, try rinsing with a deodorising mouthwash after eating. Other foods, however, help with bad breath, including natural sugar-free yoghurt and raw crunchy vegetables. Instead of spices, try herbs such as parsley – which may help keep your mouth smelling fresh thanks to the fact it contains chlorophyl. Keep your mouth as healthy as possible between visits to the dentist. As well as brushing, flossing and rinsing with mouthwash twice a day, it’s also a good idea to keep a portable toothbrush and travel-size toothpaste in your bag or pocket so that you can give your teeth a quick freshen-up when you’re not at home. Use an alcohol-free mouthwash whenever possible, as many types of mouthwash contain alcohol, which can make your mouth dry. Few things are more likely to cause bad breath than smoking. If you smoke, find out about products that could help you quit, such as patches, gum and lozenges. Peppermint oil: The menthol found in peppermint oil is an ingredient in several halitosis products sold in pharmacies. Indeed, studies suggest rinsing with a peppermint-based mouth wash is an effective way of reducing bad breath (i). Live bacteria: Many dental experts believe that bad breath may be caused by an overgrowth of bacteria that produce foul-smelling compounds in your mouth. And while products containing live bacteria such as acidophilus are well known to benefit digestive health, research also suggests they may help reduce bad breath too (ii). These beneficial live bacteria are widely available in powder, liquid, capsule or tablet form, as well as in certain dairy-based food products. Coenzyme Q10:If you have bad breath caused by gum problems such as gingivitis, another supplement you may find useful is CoQ10. Some believe this helps to boost circulation in affected gum tissues, helping the gums to heal. Studies also confirm there may be a link between Q10 and the improvement of gum disease, reducing bleeding (iii) and inflammation (v). Fructo-oligosaccharides (FOS):These are starches containing soluble fibre that the body cannot fully digest. Instead, the undigested parts provide nourishment for your intestinal bacteria, which can help to keep your digestive system healthy. One of the conditions FOS is often used for is constipation (v), which suggests it may be helpful if you have bad breath as a side effect of being constipated. FOS is available as a nutritional supplement – often in powder form – but you can also find it in foods such as asparagus, Jerusalem artichoke, leeks, onions and soya beans. HaghgooR, Abbasi F. Evaluation of the use of a peppermint mouth rinse for halitosis by girls studying in Tehran high school. J IntSocPrev Community Dent 2013 Jan-Jun; 3(1):29-31. Hur MH, Park J et al. Reduction of mouth malodour and volatile sulphur compounds in intensive care patients using an essential oil mouthwash. Phytothre Res 2007 Jul; 21(7):641-3. Burton JP, Chilcott CN, Tagg J. The rationale and potential for the reduction of oral malodour using Streptococcus salivarius K 12 on oral malodour parameters. J ApplMicrobiol. 2006; 100:754-64. Keller MK, Bardow A, Jensdottir T, Lykkeaa J, Twetman S. Effect of chewing gums containing the probiotic bacterium Lactobacillus reuteri on oral malodour. ActaOdontologicaScandinavica, May 2012, Vol. 70, No. 3 : Pages 246-250. Chaterjee A, Kandwal A et al. Evaluation of Co-Q10 anti-gingivitis effect on plaque induced gingiitis: A randomized controlled clinical trial. J Indian SocPeridonntol 2012 Oct; 16(4):539-42. Prakash S, Sunitha J, Hans M. Role of coenzyme A10 as an antioxidant and bioenergizer in peridontal diseases. Indian J Pharmacol/ 2010 Dec; 42(6):334-337. Chen HL, Lu YH, Lin JJ, Ko LY. 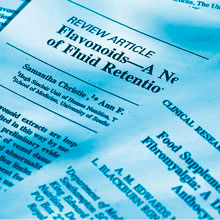 Effects of fructooligosaccharide on bowel function and indicators of nutritional status in constipated elderly men. Nutr Res. 2000; 20:1725-33.